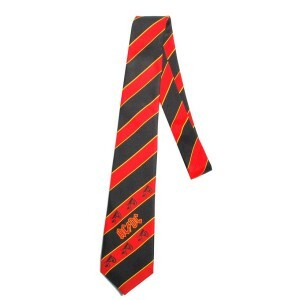 Awesome, the For Those About To Tie One On Necktie is perfect just what I wanted. LOVED the "For those about to tie one on" necktie. I got it for my son who was raised the right way on music like this. He's now an exec in a corp at a young age and this tie is perfect. He can wear it with his suit for his business meetings with the jacket buttoned...then afterwards...open up the jacket and reveal that it's time to PARTY! Great quality and love it as a statement piece for his corporate coworkers. Rock on!